Have you heard of Kyaraben? Kyaraben is a style of elaborately arranged Japanese boxed lunch which features food decorated to look like people, characters from popular media, animals, and plants (wikipedia). 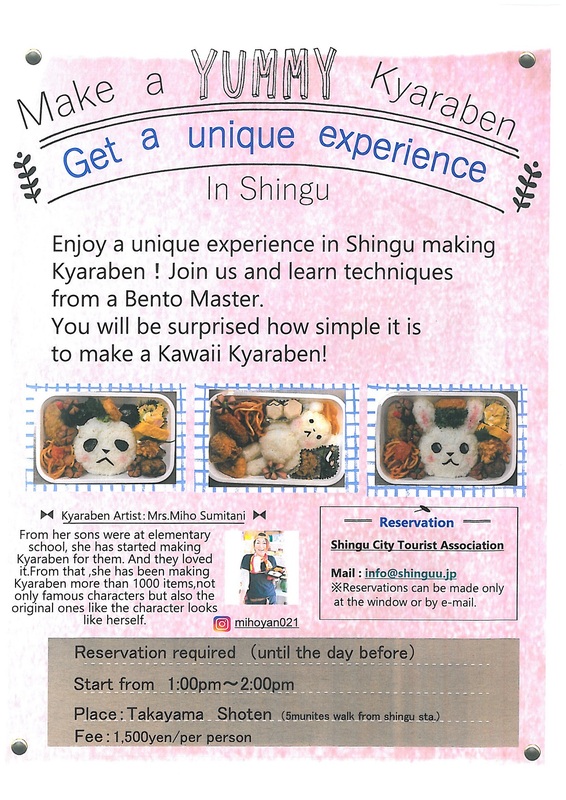 You will get a chance to make a super cool kyaraben in Shingu with Kayaraben artist Mrs. Miho Sumitani. ​Join us and have a great unique experience !!! !